From Blue Giraffe to Pink Zebra-every child has a favorite animal! 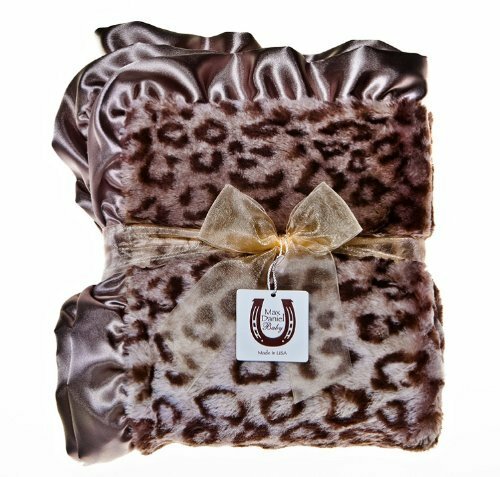 This Max Daniel Designs Grey Jaguar baby blanket is ideal for baby showers, toddler birthdays, and all holidays. Made in the USA of luxurious double-sided plush trimmed with the softest Charmeuse satin ruffle. It's a hit with babies every time! Free shipping on orders over $85.00 via UPS Ground and $10 flat rate under $85 within the continental U.S. only. Contact us at info@maxdaniel.com for Expedited Delivery orders or to ship to international addresses. If you have any questions about this product by Max Daniel Designs, contact us by completing and submitting the form below. If you are looking for a specif part number, please include it with your message.